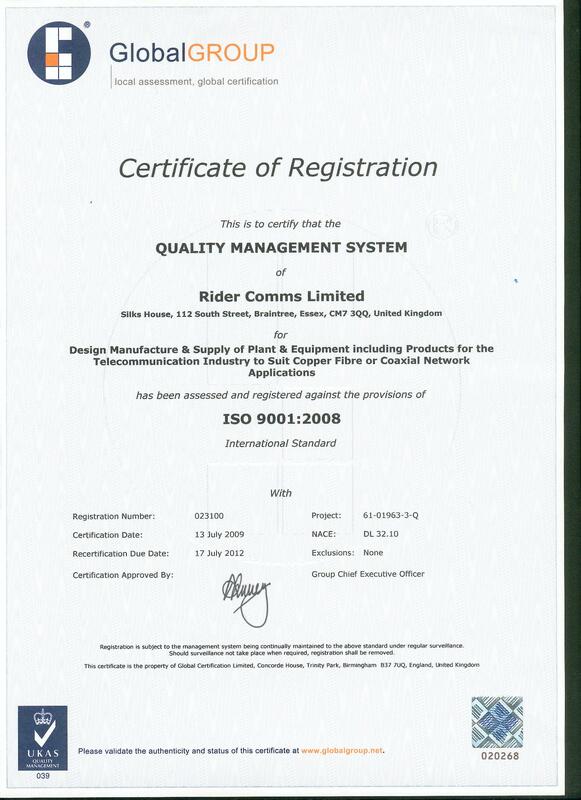 Rider Comms Ltd. was incorporated in 1997 to provide a Design, Manufacture and Supply Service to the Communications Industry worldwide. Rider Comms is a young, energetic & experienced company, which aims to provide Ideas, Concepts, Solutions, Project Management and Installations for it's customers. The Company is headed up by Three directors who have a wealth of product knowledge & whom are very well respected in the Telecommunications Industry. Rider Comms headquarters are located in Braintree, Essex. The offices and warehouse are modern and well equipped to support the company’s activity. Rider Comms product portfolio is continuing to grow through it's own manufacturing projects and the various joint ventures and agency agreements negotiated with world class suppliers. 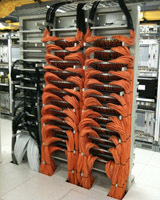 This has enabled our company to compete and provide total solutions for Copper and Optical Fibre network configurations. 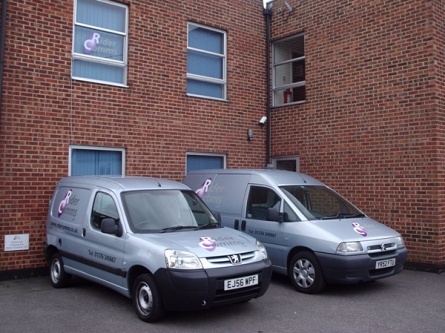 We are currently working closely with companies such as Highways Agency and Major global internet Service Providers, but also supply individual requirements to customers on a daily basis.